It’s a shame that it took decades of filmmaking to get a delightful yet poignant movie like “Crazy Rich Asians” made. It’s an incredible, moving, and hilarious film that is just as rich in details and clever social satire as Kevin Kwan’s 2013 best-selling novel of the same name. 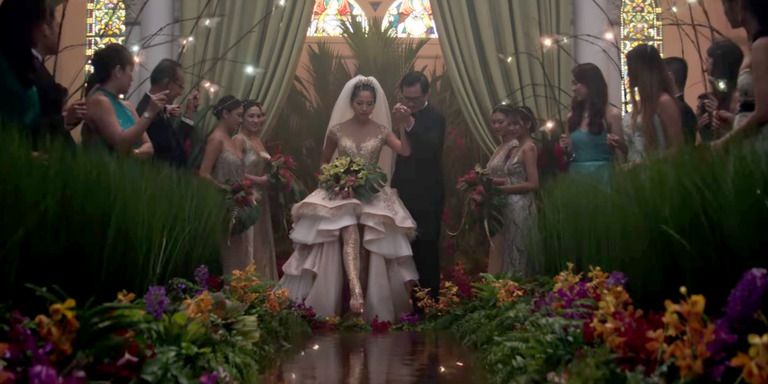 Director Jon M. Chu says that “Crazy Rich Asians” is “not just a movie, it’s a movement.” It’s also an experience – of lavish food, culture, interiors, fashion, and Singapore itself. You might look up flights to Singapore as you walk out of the movie, like I did. The film is hilarious, emotional, and educational as it examines the differences between Rachel Chu (played by Constance Wu, a natural lead), an Asian American woman who grew up with a Chinese single mum, and her boyfriend, Nick Young, who comes from and incredibly wealthy and traditional Singaporean family. The problem? Nick never bothered to tell Rachel about his family. Warner Bros.Henry Golding is excellent as Nick Young. Though screenwriters Peter Chiarelli and Adele Lim take some narrative departures to make the story tighter, the movie follows the book’s story quite religiously. After some convincing, Rachel accompanies Nick to Singapore for his best friend’s wedding which, unbeknownst to her, is basically a Singaporean royal wedding. Rachel visits her best friend from college Goh Peik Lin, played by a scene-stealing Awkwafina, and then she meets Nick’s family. Once that happens, there’s tension between Rachel and Nick’s mother Eleanor Sung-Young (played by Yeoh). Rachel quickly realises that friends and family look down on her for being an Asian American and assume that she’s just after Nick’s money. Warner BrosAwkwafina steals every scene she’s in. The beloved characters from the book are brought to life by its perfect cast: from Constance Wu to Michelle Yeoh to its all-Asian supporting characters and extras. Everyone involved in this film had the time of their lives filming it, and that joy shows in every frame. 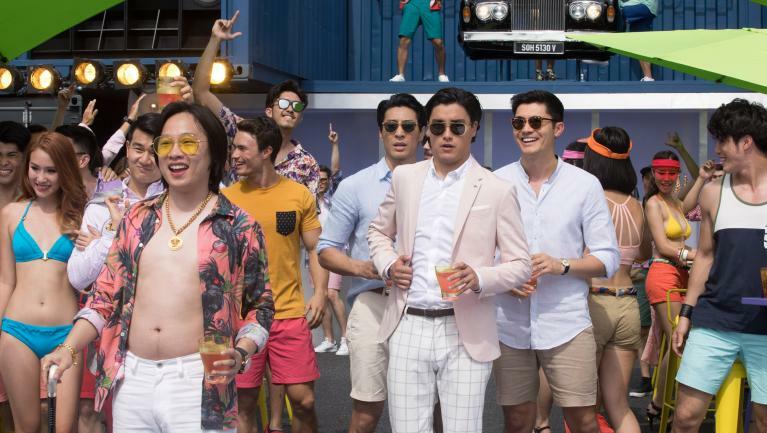 “Crazy Rich Asians” is not only significant as the first major theatrical release starring Asian Americans in 25 years, since 1993’s “Joy Luck Club,” but for its vast and entirely Asian cast. Warner BrosThe sets, costumes and locations are stunning. What’s also refreshing is its story. Movies, especially romantic comedies, often tell the same story: a workaholic 26-year-old white blonde woman, who is played by an actress in her 30s, can’t find love because she’s too obsessed with her job. Then, in comes a white man played by an actor in his 40s to make her reconsider her personality. “Crazy Rich Asians” ignores many tropes set for rom-coms. At the beginning of the movie, the main characters have already been dating for over a year. And their relationship’s obstacles – family and money – are more real than most romantic comedies. Warner BrosJimmy O. Yang from ‘Silicon Valley’ is also in the movie. If Hollywood listens, “Crazy Rich Asians” absolutely has the potential to bolster a change for Asian actors, filmmakers, and stories. It’s a necessary push for inclusivity in the film industry. Like February’s “Black Panther,” it makes a lot of people who’ve largely been ignored feel seen. It also proves these specific stories work for everyone, even if they don’t look the same as the people on screen. 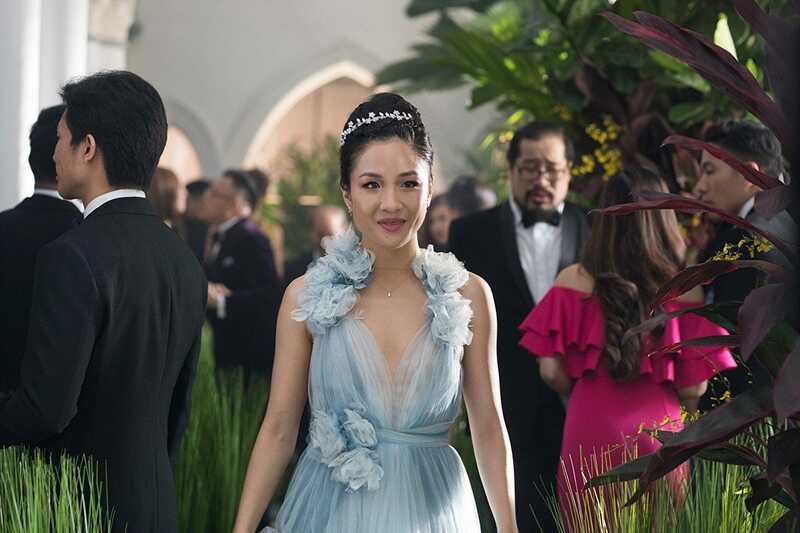 “Crazy Rich Asians” is a blast, and within minutes it will immerse you into its extraordinary extravagance and extraordinary talent. The movie comes to theatres August 15.